“Statewide medical cannabis legalization appears to have been associated with reductions in both prescriptions and dosages of Schedule III (but not Schedule II) opioids received by Medicaid enrollees in the US,” scientists from the Department of Family Medicine and Public Health of the University of California in San Diego, USA, wrote. They analysed state-level opioid prescription records from 1993 to 2014 of data from Medicaid. Medicaid is a program that helps with medical costs for some people with limited income and resources. For Schedule III opioid prescriptions, medical cannabis legalization was associated with a 29.6% reduction in number of prescriptions, 29.9% reduction in dosage, and 28.8% reduction in related Medicaid spending. 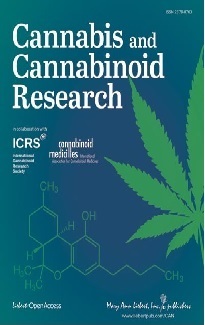 No evidence was found to support the associations between medical cannabis legalization and Schedule II opioid prescriptions Authors estimated that, if “all the states had legalized medical cannabis by 2014, Medicaid annual spending on opioid prescriptions would be reduced by 17.8 million dollars.” Schedule II opioids are morphine, fentanyl and others. Schedule III opioids are buprenorphine, tramadol and others. In a study with 1,273,897 patients with acute myocardial infarctions cannabis use was associated with decreased in-hospital deaths. Furthermore, cannabis use was not associated with increased risk of adverse short-term outcomes following a heart attack. In total 3854 patients reported cannabis use. Researchers of the Division of Cardiology of the University of Colorado Anschutz in Aurora, USA, analysed hospital records from 8 states between 1994 and 2013. In an open study with 46 patients with CDKL5 deficiency disorder or Aicardi, Doose, and Dup15q syndromes a treatment with CBD reduced the frequency of convulsive seizures. Investigators of New York University School of Medicine, USA, included patients aged 1-30 years with these severe childhood-onset epilepsy forms. They were treated with CBD for at least 10 weeks. The percent change in median convulsive seizure frequency for all patients taking CBD decreased from baseline to week 12 by 51.4% and week 48 by 59.1%. CBD was generally well tolerated. Authors wrote that the study “provides class III evidence for the long-term safety and efficacy of CBD administration in patients with treatment-resistant epilepsy” associated with these disorders. Lebanon’s parliament is considering legalizing the cultivation of cannabis for medical purposes, Parliament Speaker Nabih Berri said on 18 July. Although growing the plant is illegal in Lebanon, landowners nevertheless have for decades openly grown cannabis in the fertile Bekaa Valley. Scientists assessed crime clearance rates in Colorado and Washington before and after the enactment of cannabis legalization for recreational use. Their findings suggest no negative effects of legalization on crime clearance rates. “Our findings suggest legalization has resulted in improvements in some clearance rates,” they wrote. Department of Criminal Justice and Criminology, Washington State University, Pullman, USA. The intake of omega-3 fatty acids increased the production of endocannabinoid substances (DHEA, EDP-EA) with anti-cancer effects in osteosarcoma, a bone cancer, by several mechanisms, including reduction of tumour growth, metastasis and the production of new blood vessels in the tumour. These effects were partially mediated through the cannabis receptor 1. 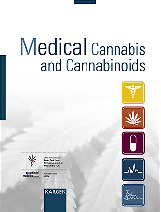 In a study with 12 multiple sclerosis patients, who received 2 sprays of the cannabis extract Sativex containing 2.7 mg THC and 2.5 mg CBD in 1 spray, maximum concentrations in blood plasma varied considerably. Maximum THC plasma levels varied from 0.60 to 13.29 ng/mL and CBD plasma levels range from 0.55 to 11.93 ng/mL. Time to peak plasma concentrations ranged from 150 to 240 minutes for THC and 90 to 240 minutes for CBD. IRCCS, Institute of Neurological Sciences, Bologna, Italy. CBD induces apoptosis (programmed cell death) in several breast cancer cells, including ER -positive and triple negative breast cancer cells. Department of Biochemistry, Faculty of Science, Alexandria University, Egypt. In a long-term observational study with 607 patients treated at 25 sites in the US with CBD up to a maximum dose of 25 to 50 mg/kg bodyweight treatment effects after 96 weeks were similar to those after 12 weeks. In a study with 409 people with a specified condition of insomnia CBD was associated with greater symptom relief than THC. Flowers from sativa subtypes were associated with more negative side-effects than flowers from indica or hybrid plant subtypes. Department of Psychology, University of New Mexico, Albuquerque, USA. According to a survey with 1514 pain patients contacted by phone cannabis use was associated with a greater pain severity score compared to non-users. Authors wrote that there “was no evidence that cannabis use reduced pain severity or interference or exerted an opioid-sparing effect.” However, it may also be possible, that patients with more severe pain are more likely to use cannabis. National Drug and Alcohol Research Centre, Sydney, Australia. Colon cancer cells were exposed to several ethanol extracts from cannabis. Researchers found that some cannabis compounds acted synergistically to produce toxic effects on these cancer cells, induce cell cycle arrest and apoptosis (programmed cell death). Among these compounds is cannabigerolic acid. Agricultural Research Organization, Volcani Center, Bet Dagan, Israel. Department of Physics and Chemistry, School of Pharmaceutical Sciences of Ribeirão Preto, University of São Paulo, Brazil. An analysis of 44 patients, who received cannabis for medical reasons, showed that cannabis products may be beneficial in this patient group. Yale Cancer Center, Yale University, New Haven, USA. The Center for Medical Cannabis Education, Del Mar, USA. In an analysis of 434 patients, who underwent weight reduction surgeries, those with cannabis use (36 patients) need higher doses of opioids. Authors assume that this is due to the development of cross tolerance. Saint Joseph Hospital, Denver, USA. The plant cannabinoid cannabigerol (CBG) protected nerve cells against the toxicity induced by stimulated macrophages. It counteracted the production of pro-inflammatory messengers. In a study with rats with cisplatin-induced peripheral neuropathy the administration of a synthetic cannabinoid, which does not penetrate into the brain, suppressed allodynia. Allodynia refers to a pain sensation from a stimulus (e.g. touch, cold), which usually does not cause pain. Laboratory of Neuropharmacology, University of California, Los Angeles, USA. A new synthetic cannabinoid with high affinity to the CB2 receptor inhibits cell survival in leukaemia cells, but it did not damage normal healthy lymphocytes. Department of Experimental Medicine, University of Rome "La Sapienza", Italy.